When asked to sum himself up in three words, Tony Pakula responds, “quiet, involved, and social.” To that, one must add, “hard working.” The first thing you learn about Tony Pakula when you begin talking with him is that he began working-and working hard-almost as soon as he began walking and talking. And he never stopped taking advantage of a work opportunity. But another one of his outstanding characteristics is his love of his Polish heritage. He singlehandedly and painstakingly compiled a nearly 20-volume set (of giant, three-ring binders) of his entire family history. It has taken him approximately four decades. Now that is a labor of love. The other thing that stands out about Tony Pakula is his love for the Church. That’s where his own descriptor comes into play, because he’s truly quiet about it, but it comes through-ever so quietly-when you listen to him. Tony is the son of a Polish immigrant father and a Polish mother who was originally from Chicopee Falls, Massachusetts. His father, Antoni Pakula, was born in Głodno, Poland, in 1884. Głodno is approximately 65 miles southeast of Warsaw. His mother, Katarzyna (Katherine) Golen, was born in Chicopee Falls in 1897. Her parents were from Jasło, Poland. Her father Jan was a farmer in Poland. In 1912, Antoni came to the United States and settled in Wilkes-Barre, Pennsylvania. His brother Jan was living in Edwardsville, Pennsylvania. Antoni took a job in mining but didn’t stay in it for long. In 1913, better jobs were opening up in Detroit, so it was in that year that Antoni, Jan, and another brother, Andrew, along with their sister Victoria, came to Detroit. Their parents had remained in Poland. Thus, like so many other daring young Polish people, they courageously forged this new frontier alone. Antoni’s father died in Poland in 1915. Antoni went to work at Chalmers Foundry, and then at Ford Motor Company in Dearborn, where he remained for 35 years, working as a fender polisher. At first the work was done by hand, and then it became automated. He first lived in a boarding house on Detroit’s west side, and then moved to a house on 32ndStreet, north of Buchanan. Katherine Golen, age 6, arrived in Detroit on or about June 22, 1903, when she came back from Poland accompanied by her cousin, Maria Stempien. 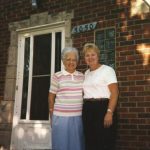 She was traveling to 88 Goldner Street, the home of her parents, Jan Golen and Jozefa (Josephine) Stempien. It was found that Jozefa had gone back to Poland in 1900 with her two children, Joseph, age 5, and Katherine, age 3. She returned in 1901 with Joseph, age 6. Jan and Jozefa were married in North Hampton, Massachusetts, in 1894. Katherine was born in Chicopee Falls, Massachusetts, on March 15, 1897. The Golens lived in Detroit until 1920, when they returned to Chicopee Falls. Tony’s mother and father were introduced to each other by Louise Serafin, who was living on 29th Street with Katherine. Antoni was 36 and Katherine was 23 when they were married on April 20, 1920, at St. Hedwig Church. They lived in the house on 32nd Street and later moved to a beautiful, large two-story home at 5420 Springwells Street. Antoni continued to work at Ford Motor Company, and Katherine worked at R. G. Dun Cigar Factory on Michigan Avenue and Greusel, where she rolled cigars. She worked until after the first of their seven children was born. Their first child was stillborn. The other children were Walter, Lillian, Anthony, Edward (who died at 7 months), Irene, and Genevieve. Genevieve was born with Down’s syndrome and was mentally retarded, and all of the other children took care of her. When children in the neighborhood made fun of her, Tony chased them down and told them it wasn’t her fault that she was born that way and they were lucky that they weren’t born that way. He was her protector. Although doctors said she wouldn’t live long, Genevieve lived to 56 years of age. Tony learned his work ethic from his family. The whole family worked hard. Katherine was a very good cook. She canned food and made pickles and cucumbers in the basement. She made gołąbki, chrusciki, pierogi,chicken soup, potato soup, and cabbage soup, and czarnina (which only Antoni ate), and she also made ketchup. Tony used to help his mother make apple pie, and he liked to make the decorative part on the pie. The family celebrated Wigilia and Święconka and kept all the Polish traditions alive in their home. They had their Easter basket of food blessed at church on Easter Saturday, and it always contained a butter lamb. Tony, whose nickname growing up was Junior, remembers going to the Chopin Theater, between Chopin and Tarnow on Michigan Avenue, as a young child. He saw Dracula and Frankenstein on the same day. He recalls being “scared to death” walking home, looking for the Boogie Man. “My mother stayed in bed with me until I fell asleep. Dracula scared the hell out of me with that cape. He could fly through your window and come in your house. Oh, boy!” George, Tony’s friend, went with him. He lived in the second house off Michigan Avenue. “I had to walk another block without him,” recalls Tony. “See you tomorrow, Junior,” called George, as he left Tony to walk the two blocks on his own. Other theaters Tony remembers going to are the Imperial on Michigan and Cecil; the Graystone at Springwells; the Senate, the Kramer, and the Crystal on Michigan Avenue; and the Hollywood on Fort Street. Sometimes for big movies they would go to the big shows or to the Fox Theater in downtown Detroit. All of the Pakula children attended St. Andrew School on McGraw. They all graduated from St. Andrew grade school. Some of them went to Chadsey High School and some, like Irene, went to St. Andrew High School. Lillian went to Chadsey and graduated. Tony’s father left it up to his children to decide where they wanted to go to high school. Tony would choose Chadsey for the sports. Tony began working at seven years of age, at a corner store called Lasko’s. He got paid 25 cents for the two days he worked. He worked from 6 to 8 p.m. on Friday night, and then he went with Mr. Lasko to Western Market on Saturday morning. 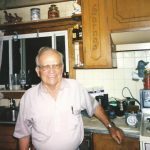 He worked as a stock boy, shredded cabbage for sauerkraut, knocked the eyes off potatoes and washed them, and delivered groceries throughout the neighborhood. He also took the empty case of Stroh’s beer from underneath the basement stairs at home (his dad’s supply) and restocked it with a new one! One sees that there were not many child labor laws observed back then. Then Tony got a big break when he was 12 years old. During World War II, in 1940, he sold newspapers. He got $15 to $16 a week selling papers on Sunday. He sold all three major papers: the News, the Free Press, and theTimes. He had 150 customers. His paper route was on Proctor Street between Michigan Avenue and McGraw, where he had 60 customers. When he had free time he stood on Central and Michigan Avenue from 4 to 6 p.m. He made it easy for his customers, who didn’t have to get out of their cars to get their papers. It was on that corner that Tony witnessed a few nasty accidents caused by impatient drivers. He did that job for at least two years. One of his fondest memories is the memory of enjoying a hamburger and chocolate shake every Sunday morning at the White Tower. And that brings us to another one of his jobs. Next door to the White Tower was a candy store. Tony swept the floor in the store for candy. When he went home, his mother would say, “Were you at the candy store today?” He would say, “Yeah.” “The smell of the candy permeates you,” he says. That job didn’t last for long because it was interfering with his paper route. St. Andrew opened its high school in the 1943-1944 school year, and they didn’t have sports because they didn’t have a lot of boys in the school. Chadsey had approximately 3,000 students compared to St. Andrew, which had approximately 200. As previously mentioned, Tony chose to go to Chadsey for the sports. He played quarterback on the Chadsey football team and also played basketball. He received an Honorable Mention in all three Detroit newspapers for his excellence in basketball. He competed in swimming until he hit the diving board while executing a dive. He competed in the backstroke, which was his best stroke. He played pitcher and catcher on the baseball team. Tony enlisted in the U.S. Army on July 3, 1947. He served his last two years in Panama and was discharged on July 2, 1950. He has memories of being shot at in a riot when there was an effort under way to dispose of the Panamanian President. When Tony came out of the service he worked for the Detroit Police Department as a stenographer from 1950 to 1953. He then went to work for Michigan Consolidated Gas Company, where he earned 69 cents an hour. He left there in 1955 to join the Detroit Police Department for $8,000 a year. At the gas company he was getting $55.20 a week! He attended the Police Academy next to Police Headquarters, for 12 weeks. He worked on the 4th floor in the Detective Bureau in Crime Reports, where he printed and made mimeograph (yes, mimeograph) copies of crime reports to distribute to newspapers. Tony worked all the precincts in the Detroit Police Department except for the 15th. He retired from the Detroit Police Department in August 1980, and his last assignment was the 16th Precinct on Grand River Avenue in the Juvenile Division. From 1971 until he retired-for nine years-he was a detective. That was his favorite part of his career. Every day was different. If there was anything he did not like about his career it was family trouble runs. On April 2, 1973, a defense attorney in a courtroom trial in Recorder’s Court in Detroit shot at the judge six times but missed. Tony was one of the three officers involved in the case. He and the other two officers fired at the attorney, hitting him 13 times in total, saving the judge’s life. Tony received a Distinguished Service Award for his involvement in the case and received a blue ribbon and a certificate at an awards ceremony at a building on Jefferson Avenue. Tony’s sister introduced him to Antoinetta Chiarenza, his first wife. She worked at Michigan Consolidated Gas Company and Tony was a stenographer at the 6th Precinct Police Station on McGraw and Martin Street. They were married in July 1954 at St. Barbara’s Catholic Church in Dearborn and they had three children. She died in March 1963 after two years of hospitalization. During their marriage they lived on Florida Street and Sarena Street on Detroit’s west side. 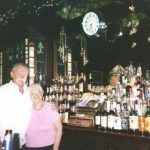 Tony eventually met his second wife, Eleanor Zelinski, in his brother-in-law’s bar on Michigan Avenue. She had four children. They went to the Romanowski Post’s New Year’s Eve Party for their first date on New Year’s Eve 1964. They married in 1968. During his marriage to Eleanor they lived at 5456 Chopin Street, at which time the children attended dance classes at Dom Polski Hall on Junction Street. During their free time they had the children visit Tony’s father, who was still living at 5420 Springwells. He lived there until 1971, when they placed him in a nursing home. Eleanor passed away in 2002. Tony’s love of sports continued throughout his life, and he always found an avenue for it and a way to serve others with his talent. He coached basketball for the Catholic Youth Organization (CYO) at St. Hedwig in the 1950s, and at St. Andrew from 1967 to 1968. He ran a baseball program from 1967 through 1970 at Dingerman Field. The West Side Courier took photos of the children playing baseball and did a story on it. Our Lady Queen of Angels had a separate team, which eventually joined Tony’s baseball program. Approximately 160 children were participating in the program. As people heard about it, they joined. All of Tony’s children played in the league, so it was a family affair as well. His girls played in the softball league. Today, Tony’s children are spread out across the country, from Florida to Nevada, from Nebraska to Pennsylvania, and from North Carolina to Michigan. They aren’t very much involved in Polish culture these days. But one daughter will most likely carry on the culture in the family. And they all like Polish food! Tony supports Polish culture in a big way and attends all the Polish events that he can. He belongs to the Stay 50 Club at St. Thomas a’Becket Catholic Church, a club for anyone over 50 years old. Tony has not learned his lesson: He is now the Secretary -Treasurer of that club. Indeed. There’s a lot more involved, and there’s a lot more to Tony Pakula than meets the eye. And that’s where one might say the “involved” and “social” aspects of his life conjoin. He’s not one to just go through the motions, but he’s an active player, and he works hard at all that he does. Tony Pakula is a man of many talents, and one of a kind. Interviewer’s Note: The above story was derived from an interview with WSDPAHS member Anthony “Tony” Pakula on Friday, September 26, 2014. 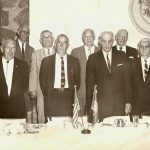 By decision of the Society’s Board of Directors, oral histories conducted with interviewees from this point forward will be transcribed in the form of short stories that will be printed in the Society’s e-Newsletter, with the consent of the interviewee, and also posted on the Society’s website. This is being done in an effort to make the transcriptions more interesting and readable. 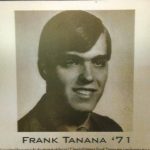 Interview with West Side Detroit Baseball Legend Frank Tanana, Jr.